I’m not one for going crazy on Valentine’s decorations but by February I’m dying for some color and spring! 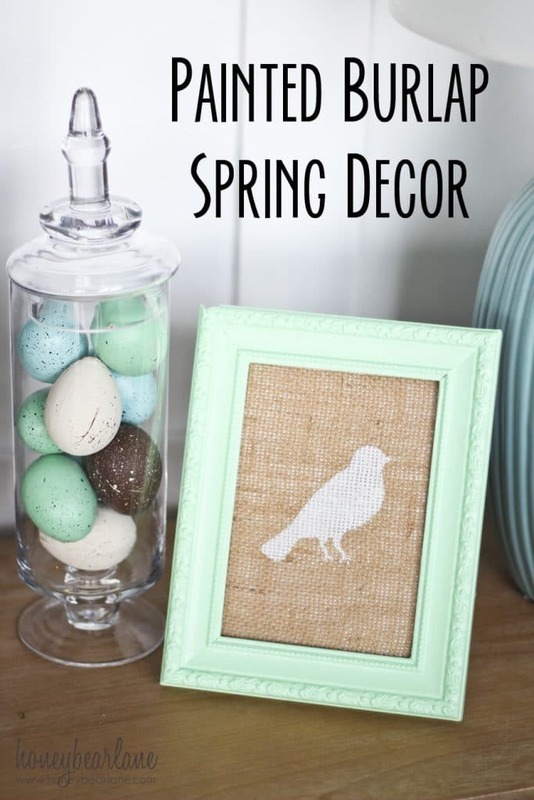 Is it weird to be decorating for spring this early? I don’t care, I’m doing it. Last year I got a bunch of really pretty faux spring florals from Balsam Hill but I’m so sad that I can’t find where I stored them! So until I can find that box, I’m making do with these little spring touches. Get ready for some pretty pictures! 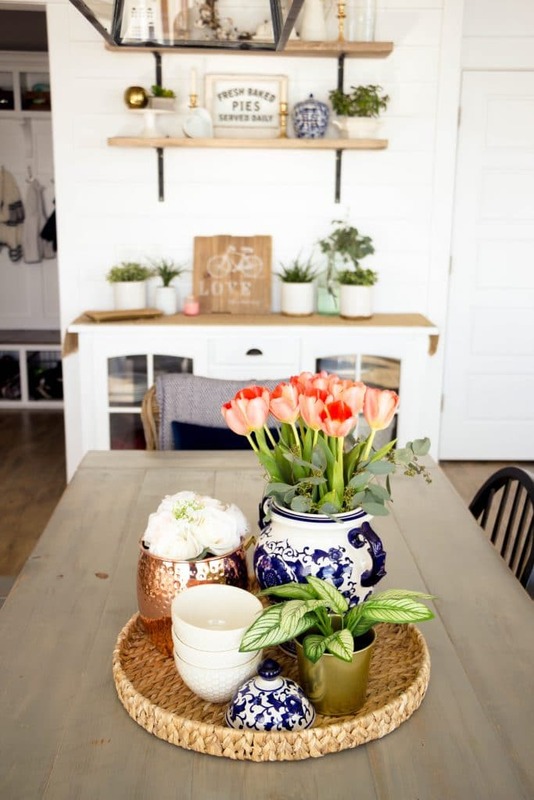 It’s so easy to make a spring vignette on a tray. I have this large circle basketweave tray and I love it! It’s so big so it can hold large things like these vases. Fill a chinoiserie ginger jar with some fresh flowers, add some mixed metals, and throw in some textured pretty bowls. Your kids could even grab the bowls for cereal in the morning so it’s practical too! In the entry I kept it simple. 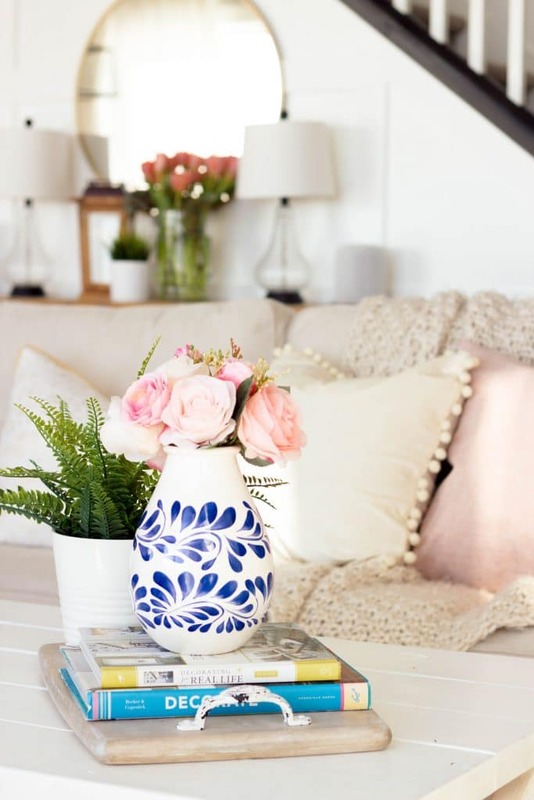 Throw some flowers in a few vases, add a couple of lighter wood accents and it’s done. My poor rhododendron is just struggling over there in that corner. It needs to be replanted but does anyone have any tips for keeping it from being so droopy? One of my favorite places to shop for spring accents is Michaels. 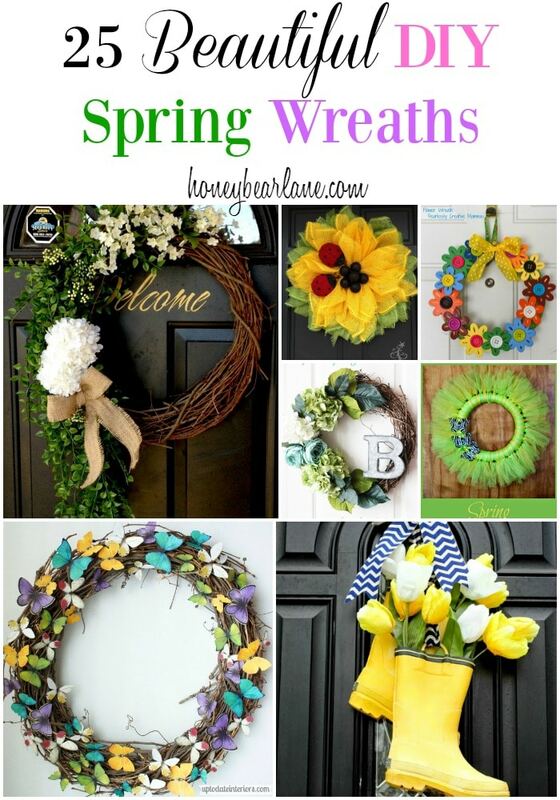 They have the cutest little collection of floral bunches in pretty spring colors. I also snagged this pretty vase there and I love the pop of blue. I also added in my pink pillow covers and got these cute pom pom pillows from Amazon. My favorite new addition are those bistro X back bar stools from World Market. I just seriously love them! 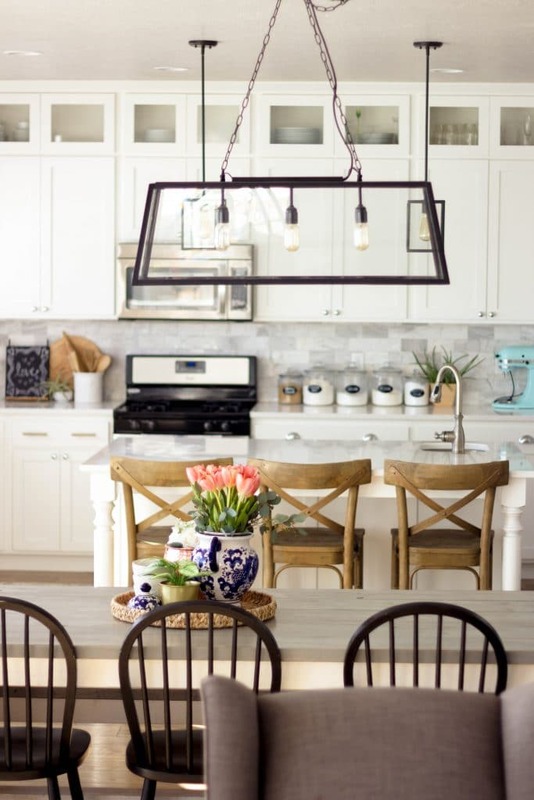 They have added so much character to my kitchen and make it seem more beachy. The warm driftwood color is just my favorite. Another new purchase was this buffet cabinet. I found it at Home Goods and it was actually a dark gray driftwood color. But the top was kind of a greenish color and the entire cabinet just wasn’t fitting in with everything else. I decided to paint it white, MUCH to my husband’s chagrin, haha! I was like “Have you MET me?” I change stuff SO much. 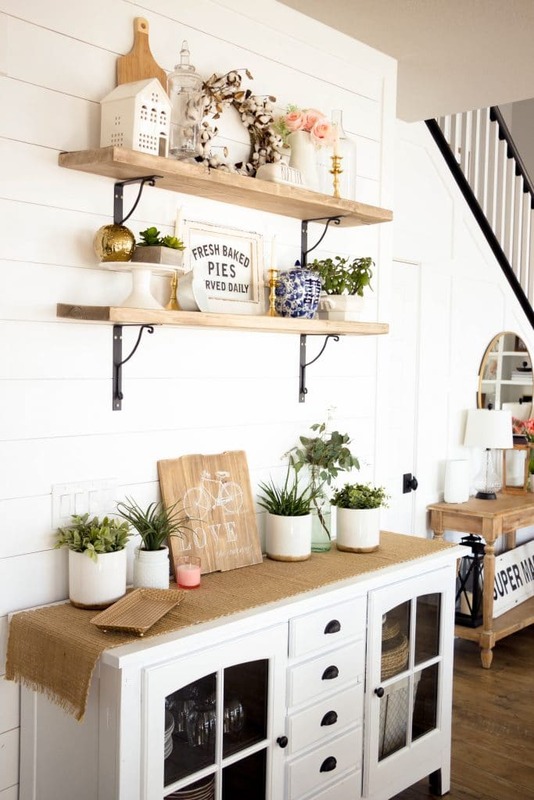 The white just works better and I actually really love the way it fits into the farmhouse vibe in my house. That’s all I’ve really done for now, but I am loving the changes. I have so many more things in store for this year but let’s just get past tax season first! 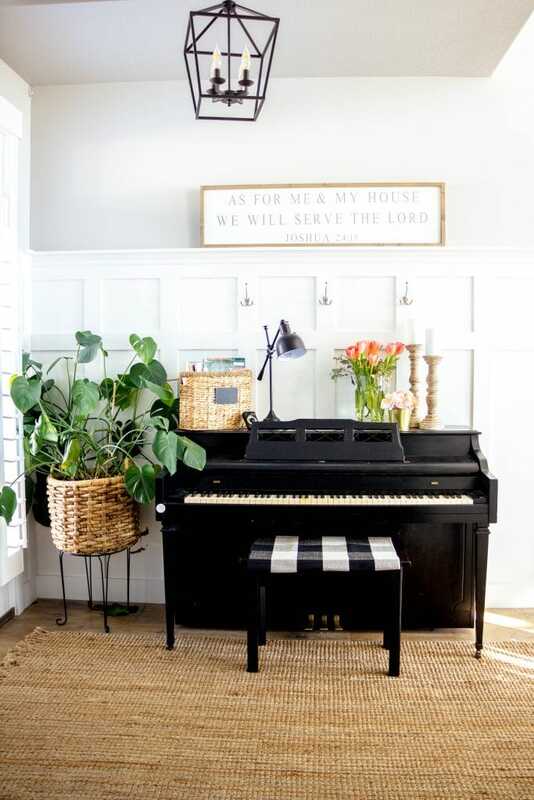 What are you doing to spruce up your house for spring?